Just a little lesson in paying attention to what beauties are around you. 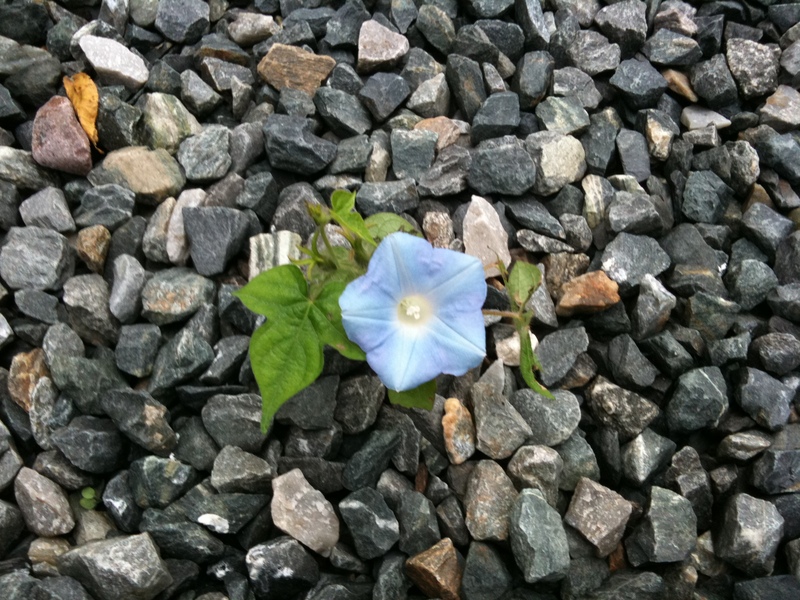 Yesterday morning when I came out to drive to work, I saw this tiny Morning Glory blossom nestled among the gravel of what is currently our front walk — doing the brick paving thing being too expensive an undertaking at the moment. I have never planted morning glories so this is clearly a volunteer from the garden of one of my neighbors. And it only opens up for a short while in the day… when I got home around 5:00 it had gone to bed for the night. Sometimes beauty is unexpected… and fleeting. Posted in Photography | Comments Off on Morning glory!